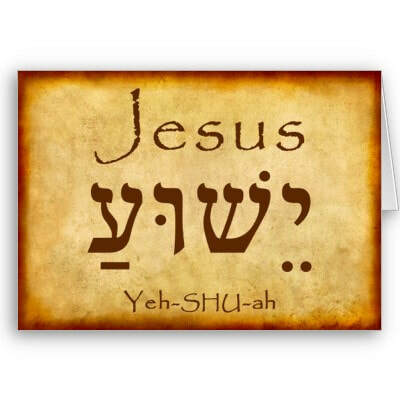 ​As far as His name is concerned, I prefer to say Yeshua, because “Jesus” is not even a real name. “Jesus” is NOT His Name. “Jesus” is a Greek grammatical, syntaxual transliteration of Yeshua. In the Greek translation of Scripture Yeshua in Hebrew becomes Iesous (Jesus). In the Septuagint, the Greek Translation of the Tanak (Old Testament), the Book of Joshua is called the book of Iesous by the Jewish translators themselves. My question is, why then do we not call Joshua of the Tanak Jesus, too? Or, visa versa, why do we not call Jesus the Messiah, Joshua the Messiah? Better yet? Why do we not call both by their Hebrew name anyway, Yeshua!? Jesus leaves a very bad taste in Jewish mouths so I say, Yeshua. Yeshua Himself said, “I am come in My Father’s Name. (Jn.5:45) And, we know through the Psalms that “Yah” is the first half of the divine name of God, though we do not know for sure how to pronounce the last half. Hence, in reference to the Messiah, some say it is “YAH-shua”, and some say “Yeshua”.